A brand that’s winning for personalised travel accessories and daily essentials, The Signature Box has a collection full of carefully designed diaries, passport covers, keychains, luggage tags, bags, combo gift sets and more. With everything made of synthetic leather in basic colours and tasteful designs, we love that none of their products are OTT. As pretty-looking as they all are, they’re just as high on utility and quality. 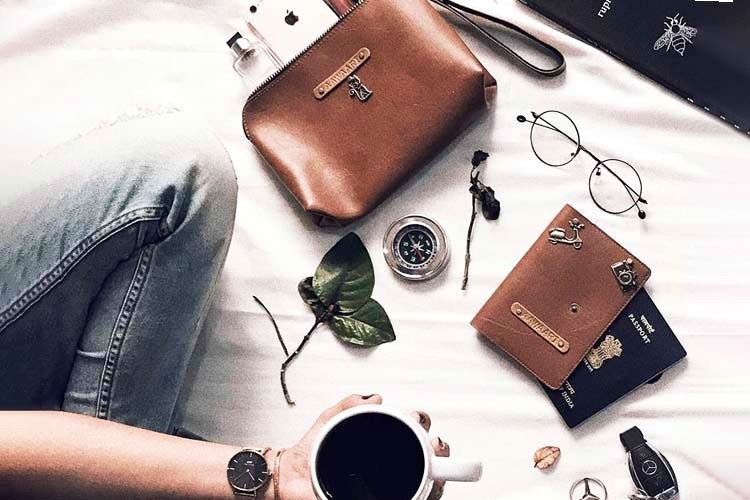 We’re especially digging their diaries, earphone holders and card holders, which would make a great addition to our list of things we use daily. All their products are freshly made for you, which is why they do not accept returns, exchange or cash on delivery - so you'll need to factor that in. Since all their products can be personalised, they’d make for great gifts, be it corporate ones or for your loved ones. You can buy their products in combos as well as in bulk without a hassle (convenient, isn’t it? ).